who have served in overseas combat. woman who has served in uniform. with veterans and the military community on Capitol Hill and in local legislative battles affecting them. friendships and a strong network of support. event planning and community outreach. be eligible for and assist you in filing a claim. 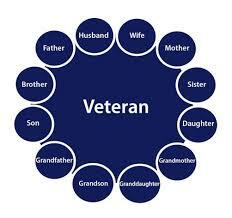 These services are available at no cost to veterans and their dependents. nationwide, as well as exciting events and national programs. along with many other benefit plans. Discount Shopping - Get access to discounts on products and services that are important to you - including local offers! VFW Store - A wide variety of VFW Auxiliary and other patriotic products are available at www.vfwstore.org. Financial Services - Credit cards and certain financial services are available through USAA by calling 1-866-575-2859. Read the artical below. Then check the drawing to the right if you fall in one of the catergorys then click on the mail box and lets get started.